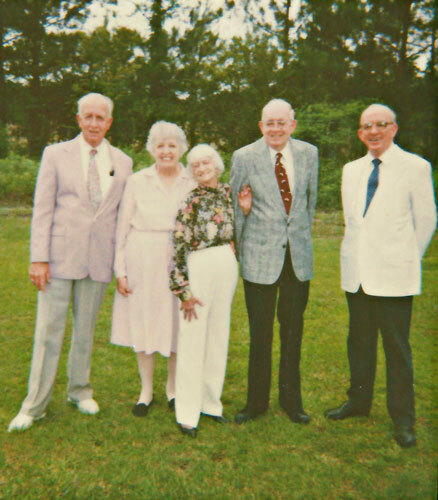 Chapter 16: Helen; Vernon, Gray; Jimmy; Kent. 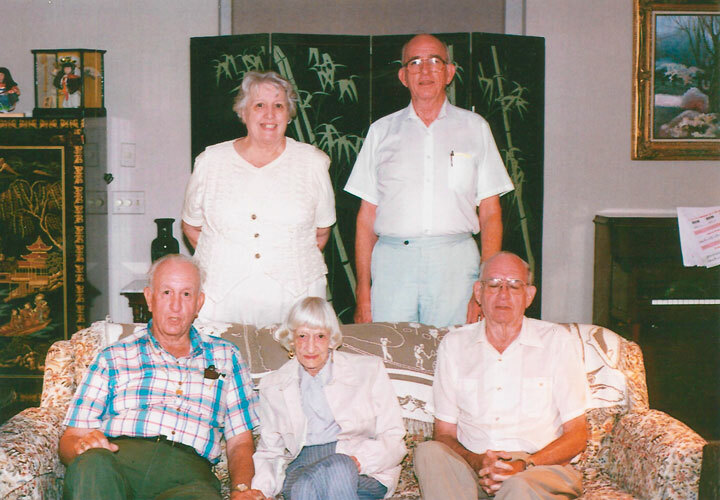 Back row: Carolyne, Vernon, Helen. Front row: Kent, Jimmy, Gray. 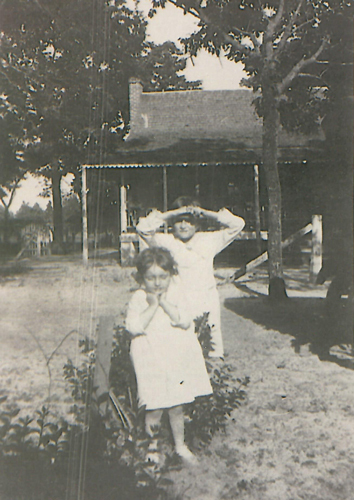 Carolyne (in front) and her sister, Helen, in front of the farmhouse. 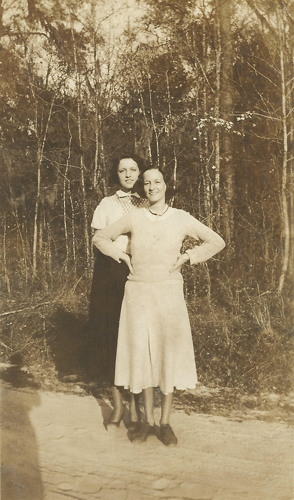 Carolyne (in back) with her sister, Helen. Helen had many professioms and was even a member of the Men's Poker Club. Chapter 16: Helen; Gray; Jimmy; Kent. 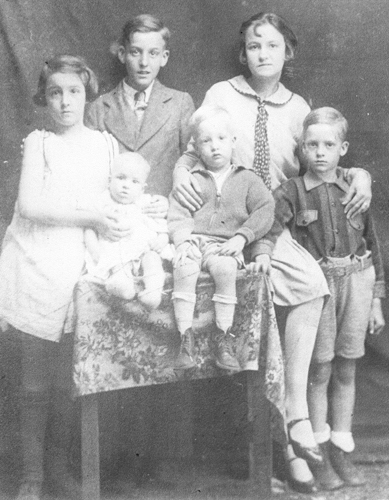 From left to right: Back row - Carolyne, Kent. Front row - Jimmy, Helen, and Gray.